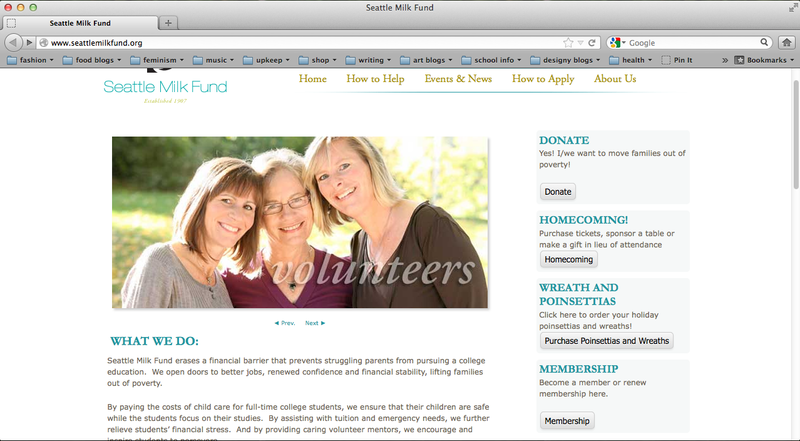 The Seattle Milk Fund is a non-profit organization that helps erase the financial barriers presenting parents from pursuing higher education. Through their efforts, the organization hopes to open doors to better jobs, help individuals rebuild confidence and bring their families out of poverty. Design overview: The website is clean with easy functionality, and the main toolbar at the top helps you get around the page. There are sidebars for donating, becoming a member, upcoming events as well as a Facebook widget. There’s a slideshow that switches to different parts of the site, an about the organization section as well as success stories, latest news and an informational video. Audience: Individuals/parents seeking help with attending school, local philanthropists, other non-profit organizations. Business/site goals: To support parents who would like to receive higher education. The non-profit raises funds in a number of ways, including through memberships, by direct donations, attending their “Homecoming” event, or buying seasonal gifts such as wreaths and poinsettias. All of these things can be done from the website.